Sell Your Premium Name.com Domains Through Afternic! 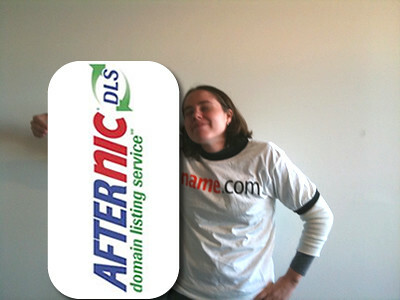 We are very excited to announce that Name.com is the latest registrar to join Afternic‘s domain listing service! This means you can now opt-in to list your premium Name.com domain names on their marketplace to find potential buyers. And if you make a sale on the Afternic marketplace, the transfer of the domain will be very fast, instead of waiting two weeks for the funds to go through Escrow and then finally to you. He then goes on to add “Joining Afternic’s DLS allows us to connect more sellers and potential buyers through the industry’s largest reseller network, giving sellers the best chance to sell their domain and buyers the best chance to find the perfect domain for their project or business.” A statement that really touches on one of our main goals here at Name.com: to provide the best tools and services to help you with your various domain name needs. While other registrars may provide aftermarket services, they are often not the best experience for the customer. We are confident that by utilizing Afternic’s marketplace, we can not just help you sell and buy your premium names, but make the experience a pleasant one. I love the photos you guys include in your posts – so nerdy! My kinda crowd! Registered and on the list now, thanks. Do I need to change NS from name.com to afternic.com? Good question. There is no need to change your nameservers when you add them into Afternic. I don't know what to do now that I signed into my name.com account. The Email doesn't say much except that I have to complete the signup process. Where do I go to complete the sign-up process? Sorry for the confusion. It sounds like you've added your Name.com domains into Afternic and then you got the email to complete the process. What you'll need to do is click on the link in the email, which takes you to a page with a Terms of Service Agreement that you'll need to agree to in order to proceed. If for some reason you were redirected, try clicking on the link again and see if you get the TOS page. If you're still having issues, let us know and we can investigate further. Thanks! Or you can try Godaddy's auction place.